For sale Altamira m10 2007 perfect condition.hi I,m selling this Altamira M10 from 2007 because I dont use it enough.It has no nicks or dents and plays and sounds great. I recently upgraded to a Dupont Nomade so my 2008 Altamira M10 is up for sale. 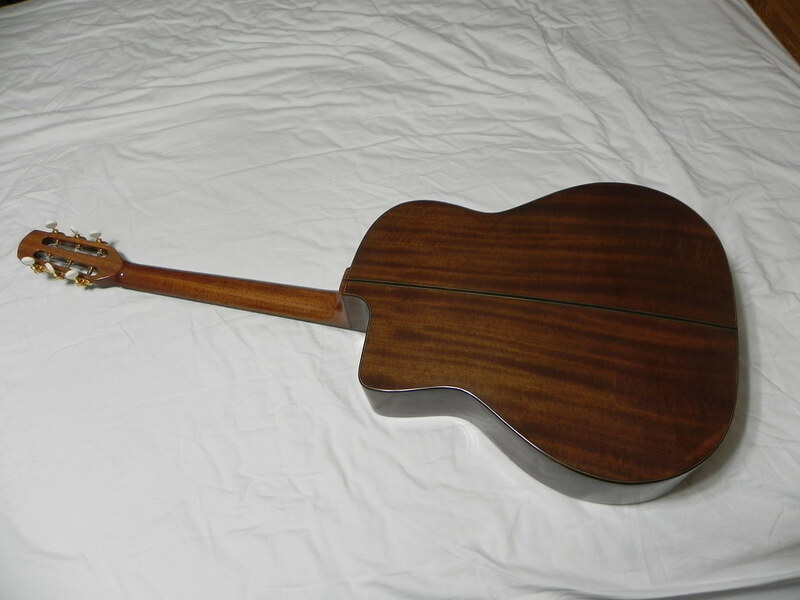 The guitar is in great condition and only has a minor ding below the bridge and three small dings on the back of the neck by the 3rd and 4th fret. Please refer to pictures in the album link. 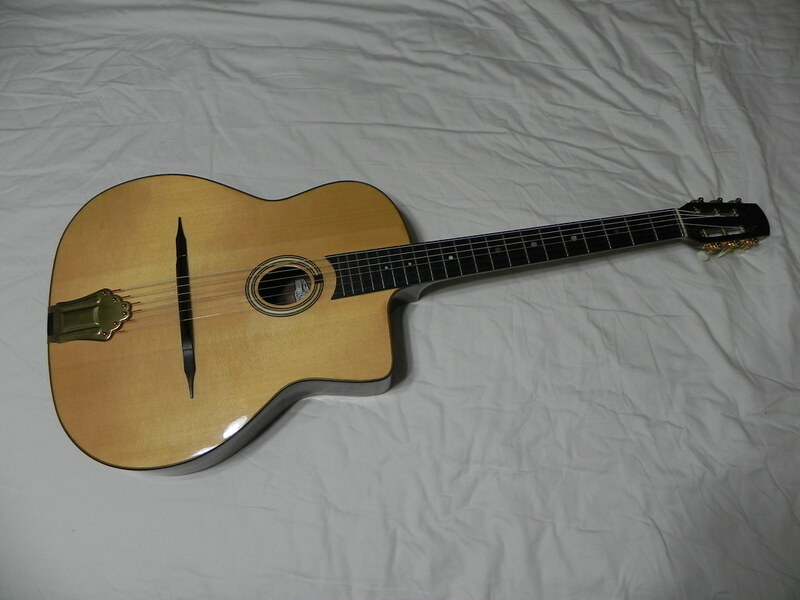 Other than those very minor imperfections the guitar plays and sounds great. The previous owner replaced the original tailpiece with a Dupont tailpiece. The original is in the case. 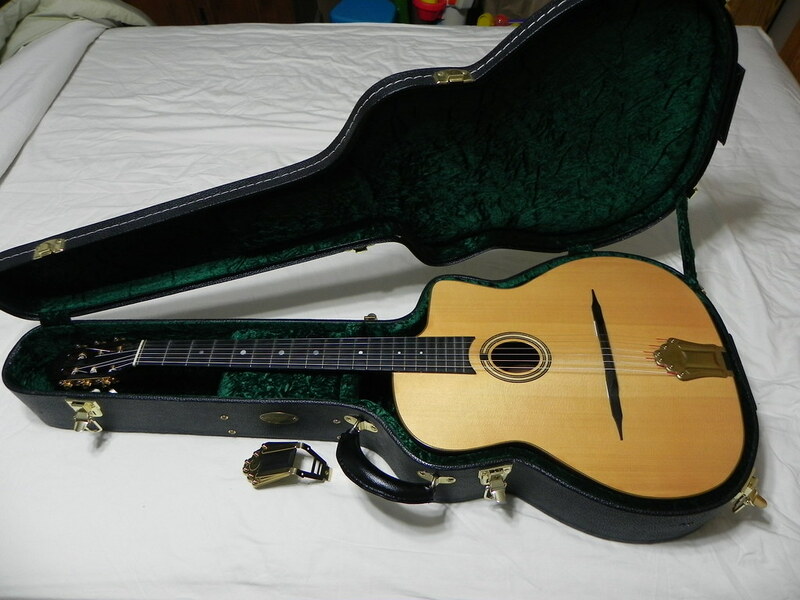 Includes hardshell case and original tailpiece. Price is $SOLD shipped and PayPal'd.